Pamplin Historical Park also offers another engaging classroom program in its Battlefield Center where students learn about the principal causes and factors that contributed to the rift between the North and South such as slavery and state’s rights. Teachers can decide to incorporate either the 23-minute or extended 49-minute version of the feature film “War is Terrible” which graphically depicts the realities of the war. With park educators and costumed interpreters, students can explore the lives and cultures of free and enslaved families in Civil War-era Virginia by touring original 19th century historic homes and reconstructed environments such as Tudor Hall Plantation, Hart Farm, the Banks House, and the “Field Quarter.” For generations, these homes housed the dreams and aspirations of Southern families. During wartime, they served as headquarters for both Union and Confederate commanders. Another educational theme that students can explore is the Reconstruction era. Video technology brings the sights, sounds, and voices of this time period to life, allowing them to understand its challenges, accomplishments, and failures. They become witnesses to the Lincoln assassination at Ford’s Theatre, observers of the postwar South, and participants in the newly won voting rights for African Americans. 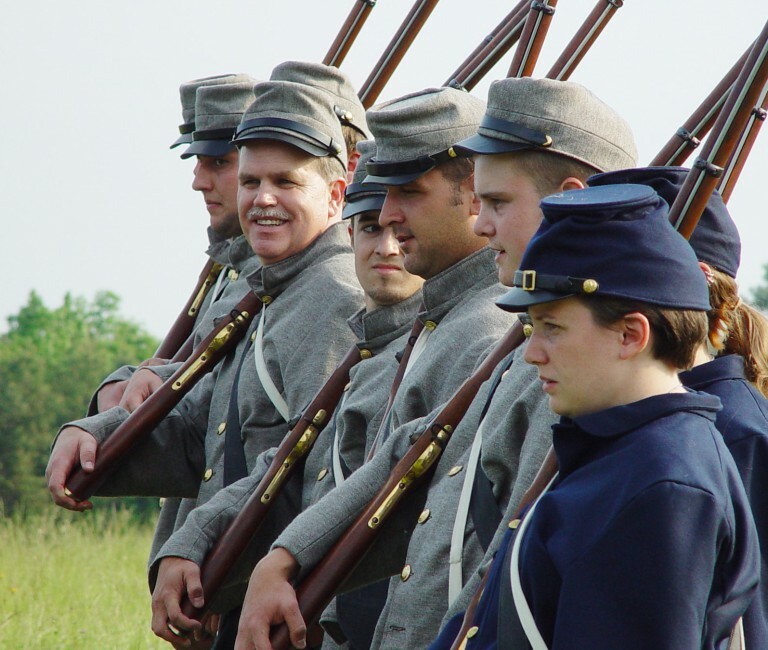 Perhaps the most favorite experience for groups, the Civil War Adventure Camp allows them to live as soldiers with daytime and overnight adventures available. They learn to participate in military drills and tactics, march as a company, properly handle and fire a reproduced Civil War musket, practice camp skills, sleep in a soldier’s hut and barracks, and make a typical soldier’s supper and breakfast. 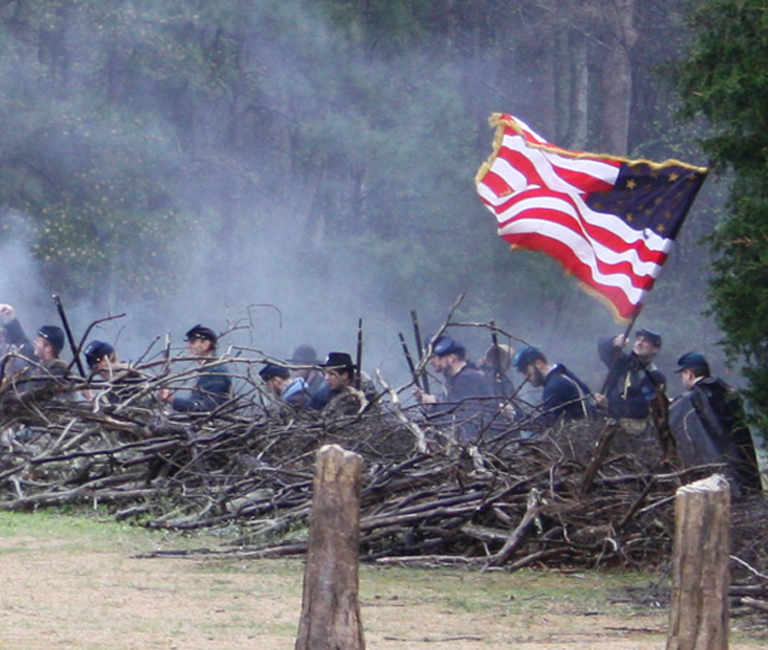 Regardless of the amount of time groups have here, Pamplin Park has designed a quality blend of programs to provide students with a balanced view of the rank and file soldier experience during the Civil War.